Dr Montessori was one of the very first educators to recognise the value of outdoor learning. In fact she valued outdoor learning so highly that she referred to the outdoors as "The Outdoor Classroom". In recent years the importance of outdoor learning has been recognised by modern early years experts and outdoor learning has become central to the EYFS. At Rainbow's End - with our three outdoor areas, including a covered free-flow area - children play & learn outdoors every day and in all weathers. 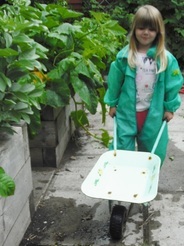 ​In our Play Garden the children love to use crates & blocks for large-scale building projects. 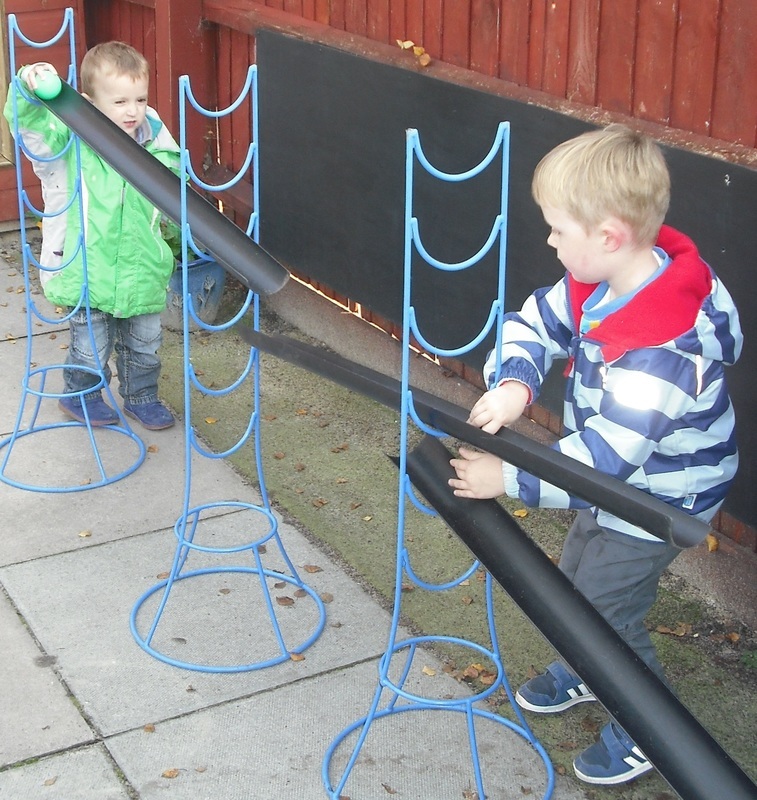 Our Water Wall is lots of fun and the children love exploring and experimenting in our Science Station! ​In our Nature Garden, taking care of our vegetables, hunting for frogs & insects and "cooking" in the mud kitchen are all firm favourites with the children!